Years of dramatic changes in technology -- from analytics to AI, cloud to service-driven IT strategies -- and the business environment are culminating in new changes in how IT leaders manage their organizations. CIOs are carving out new roles for themselves and their teams, while new C-level titles are emerging with designations such as CDO and CISO, and IT organizations wrestle with the talent crunch. Emerging technologies like the Internet of Things, artificial intelligence, machine learning, and advanced mobile applications can help a company reap the benefits of better customer relations, operational efficiencies, and increased revenues. However, each of those technologies present security risks to corporate and customer data. They may clash with the demands of best security practices and government and industry regulations. If you work in IT, chances are pretty good that you are perfectly happy with your current job. But that doesn't mean you should put your career on autopilot. 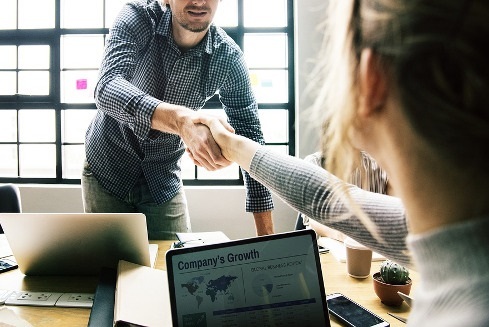 Here are 10 career moves you should consider making in 2019, whether you plan to pursue a new position now or if you simply want to have relevant skills to offer current and future employers. This is Dark Reading's November Tech Digest, explores ten best practices that could reshape IT security departments. 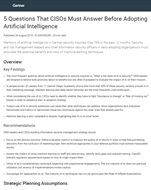 IN THIS REPORT: 10 Best Practices That Could Reshape Your IT Security Department Managing Data the Way We Manage Money The Cloud Security Conundrum: Assets vs. Infrastructure Think Like an Attacker: How a Red Team Operates The information submitted is collected by both UBM Tech and our sponsors. Budgeting season is here, which means it's the perfect time to examine your IT practices, systems and tools. Is your organization balancing the promise of emerging technologies with practicality of implementation, while at the same time taking user needs into account? This InformationWeek Trend Report will help you get in the frame of mind for the coming budget season and will explore how to move ahead with technology while staying within cost limitations. 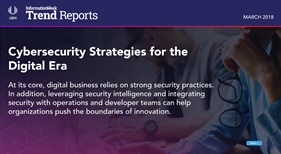 This InformationWeek Trend Report explores several areas of information security that are critical to ensuring the growth of the modern business. This InformationWeek Trend Report explores the shift to a distributed workforce and how IT can enable and support the transition. We pinpointed 10 common ways employees mishandle - and inadvertently breach - an organization's security. Find out what they are here. Now that we've got a couple of months from this year in the rearview mirror, security researchers have had enough time to crunch the numbers from 2017. That means a raft of new reports analyzing last year's cybersecurity data with updated telemetry on the threat landscape, economic impact, and defense problems facing the cybersecurity industry. Here are some of the most illuminating highlights. Dark Reading is a security dashboard for IT professionals who don't have the time or the luxury of combing wirefeeds, multiple bug feeds, or vendor Websites to find out what's new or how well it works. Here, readers will get the latest on the security industry from our crack reporting team, hear directly from trusted voices and links to the best security content across the Web. InformationWeek is the leading multimedia Business Technology brand providing CIOs and IT decision makers with unique perspective and tools that work in lock step with their decision making process - from the setting of business strategies to the evaluation and recommendation of technology solutions. Through its cross-media platform, which includes online sites, magazine, events and research, InformationWeek provides editorial content developed by both journalists and CIO and IT peers delivered when and how they want it, 24/7. The InformationWeek audience of more than 2 million buyers includes CIOs, IT executives and business managers who span across industries, job titles, company sizes and global borders.